Celia Woodsmith sings with Della Mae during a South by Southwest show in March. As impressive as it was — indeed, it earned the group a Grammy nomination for best bluegrass album — it turns out that Della Mae’s 2013 sophomore release was something of a warm-up. “This World Oft Can Be,” which marked the Boston-bred string band’s debut for Rounder Records, only hinted at the masterful performances on its new eponymous follow-up. “Della Mae” is smart and assured, a continuation of the band’s penchant for blurring the lines between bluegrass, folk, soul, and old-time traditions. There are two exceptional cover renditions, of the Rolling Stones’ “No Expectations” and the Low Anthem’s “To Ohio,” but the originals showcase Della Mae’s considerable growth. Now based in Nashville, the group — Celia Woodsmith on lead vocals and guitar, Kimber Ludiker on fiddle, Jenni Lyn Gardner on mandolin, and Courtney Hartman on guitar and banjo; they all sing — is down to a foursome after bassist Shelby Means left the lineup last year. The Dellas linked up with producer Jacquire King, who’s respected for his work on Tom Waits’s “Mule Variations” and Norah Jones’s “The Fall,” among other records. His defining touch on “Della Mae” is to keep the performances lean and clean, with minimal distractions. 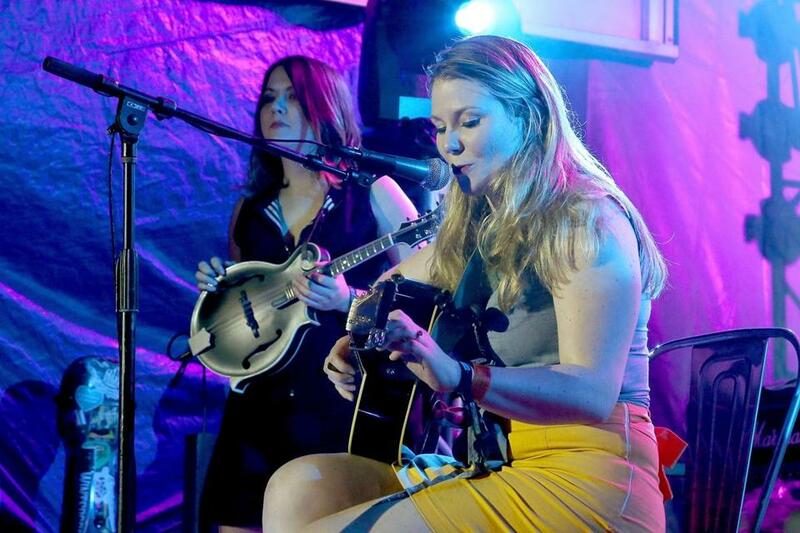 Della Mae has a handful of New England shows in May and June, including a stop at the Sinclair in Cambridge on June 6. Full tour dates at www.dellamae.com.